I am from a Mennonite background, and while we don't particularly follow a traditional Mennonite way of life (though we do attend a Mennonite church, just not very traditional), there are many foods and traditions that are still pretty special. A blog that was started by several women from our general area, Mennonite Girls Can Cook, highlights many many many of the traditional Mennonite dishes, as well as a variety of countless others that the contributors enjoy with their families. It was on that blog that I first saw these aprons, made by one of the contributors for all of the others, which my Mom also saw and really liked, hinting on more than one occasion that she would like one! I found the pattern for cheap on eBay, Simplicity 2492, quite a while ago, and finally decided this month that it would be a nice thing to do for Christmas, for my Mom and for my younger sister. The pattern was a little bit of a learning curve (quite literally! ), with what felt like miles and miles of 1/4" bias tape, but once I got the hang of it things went a lot smoother and in the end, the aprons turned out super cute. I tried to choose fabrics that I knew they would each like, and for my mom's I even found the exact fabric line used in the original versions that inspired this project in the first place. The fabric for my Mom's (the green apron) was called "Dresden Plates" (difficulty finding a web link for it, this is the best I could find), and the fabric for my sister's apron is Michael Miller, Feeling Groovy and Dumb Dots. Thank you for the pattern number! I am a little intimidated by that much 1/4", but I do so love these aprons! Thank you so much for sharing! Heather, I love that blog and I remember seeing their picture with everyone in their aprons and thought they looked so cute. I'm sure your mom and sister loved their gifts. The aprons and coasters are very cute! Did you use a bias binding foot? It makes the bias tape so much easier to use! For my Janome the foot was only about $11 (tho if you have a Bernina I think the price is way higher). Anyway, I wrote a little tutorial for using the foot, maybe it will help you out! The aprons are lovely I hope they liked them. What a great gift. I think matchy matchy aprons for all of you is a wonderful idea. I hope you get inspired to tackle that bias binding again. Oh, my!!! Those aprons are amazing. I feel like it's time to make a new apron for myself, now. Thanks for the inspiration. Your aprons are beautiful! This past summer I attended the local produce auction every week and sort of became friends with some of the Amish women there. I noticed their aprons had bias binding all around and asked how they did it so perfectly. The woman I was talking to showed me she had used a zig zag stitch and she just said to sew very slowly. Glad to finally see the aprons - they are so great! I especially love that you found the exact fabric your mom first admired - that's cool! That IS alot of bias tape - wow. Darling coasters, too - what great gifts! I have a similar pattern and plan to make mine reversible. Just clip well around the curves and leave an opening for turning. No binding necessary. Your aprons are very pretty and I'm sure much loved. Oh so pretty! Great fabrics and boy that is a lot of bias. Aww... I love those aprons! They remind me of MY grandma, a very special lady in my life! These look marvelous! I made something similar to these when we lived in Moçambique, & gave it to my friend's empregada, who was in great need of a new apron. I love the vintage look, and Michael Miller fabrics are among my favorites - always such fun designs! The coasters are super adorable, too! Great aprons, you definitely need one for yourself. Those aprons are so great! You'll have to have one of your own, so you can be (as my 3yo grandson would say) "Matchers!" lol Great job! These are fabulous aprons...they have both a modern and a vintage feel. Bet they both loved them! Cute aprons. 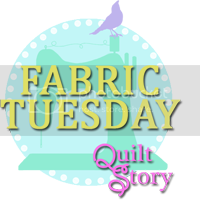 I was commenting on your latest WIP Wednesday and your archives caught my eye--I'm from a Mennonite background as well--Mennonite Brethren. And I have a lot of friends down here in Fresno from the B.C.area--in fact our current minister is a 40-year-old from Vancouver--and definitely contemporary, although we have a traditional service as well. These are so cute - I love your choice of fabrics. We at Mennonite Girls Can Cook are amazed at the interest the aprons have generated. We've even had people ordering them from the Steinbach Mennonite Heritage Museum where the local ladies make them and sell them in their gift shop. I'm sure your Mom and Sister will be thrilled with their these beautiful home made aprons!